Bike Attack Electric ships usually via UPS or Fedex, fully insured with adult signature requirement. Bike Attack Electric reserves up to 5-7 business days handling time. You or an adult in your household needs to sign for the package. UPS/Fedex make several delivery attempts and leave notes on your door. If you are unable to retrieve the package and this results in UPS/Fedex returning the bike to us you are fully responsible for the shipping costs and 15% restocking fee. Bike Attack reserves up to five - seven business days handling time before shipping. All bikes sold online come unassembled in a box unless otherwise noted. All Bikes and ebikes are required to be assembled by a professional bike shop for the warranty to go in effect. There are no assembly instructions included for shipped bikes. -Products normally stocked but temporarily out of stock. -Products not normally stocked and special ordered. Under such circumstances, you will be emailed or called ASAP. On occasion we may experience a further delay in the shipment of your order. In such a case, you will be notified via email or phone right away. NOTE: Bikes and ebikes need to be assembled by a professional bike shop or the warranty is voided. If we ship your bike or ebike you are required to check the bike box for any damages before you open it. In case of a damaged box you are required to notify UPS/Fedex right away of the damage and start a claim with them. We also request to make a picture of the damage. In the case of a damage please notify us right away and email us pictures of the damage, the UPS/Fedex claim number and explain the details. We can not ship electric bikes overseas due to international shipping exceptions of batteries, unless you agree of shipping the battery separately via boat. Please email us to info@bikeattack.com. We will never sell or release your email address, but we will send you occasional updates, promotions, discounts, coupons and invitations to special events. This site is secured by GeoTrust. Security is our main concern. GeoTrust Quick SSL gives online consumers and businesses peace of mind. Sites secured by GeoTrust SSL certificates are providing up to 256 bit encryption which offers the highest level of encryption and security. This means you can rest assured that communications between your browser and this site's web servers are private and secure. A bicycle or electric bicycle may be exchanged for the original purchase amount credit within 7 days of purchase for a model of the same value or higher if the bicycle was not ridden, shows no wear and tear, has no extra mileage on the computer and is in 100% showroom condition as determined by the store manager, unless the bicycle was special ordered, on layaway, it was shipped, it was bought online, it was a closeout deal or a sale price. All bicycle online sales, phone orders and special orders are final sales, unless there is a problem caused by us. All regularly priced accessories may be returned for a full refund within 7 days of purchase if unopened in its original packaging and accompanied by the original receipt. Refunds will not be given if those conditions are not met. Sale and clearance items, layaways, special orders or items that were shipped are not returnable. Parts that were un-installed and in their original packaging may be returned for a full refund within 7 days of purchase with the original receipt unless they were sale items, shipped, on layaway or special ordered. Parts that were installed on a bicycle, a car or other accessory can not be returned. Labor charges are not refundable, unless there is a problem with a repair or part installation performed by our shop. Please contact us right away, we will correct it ASAP. 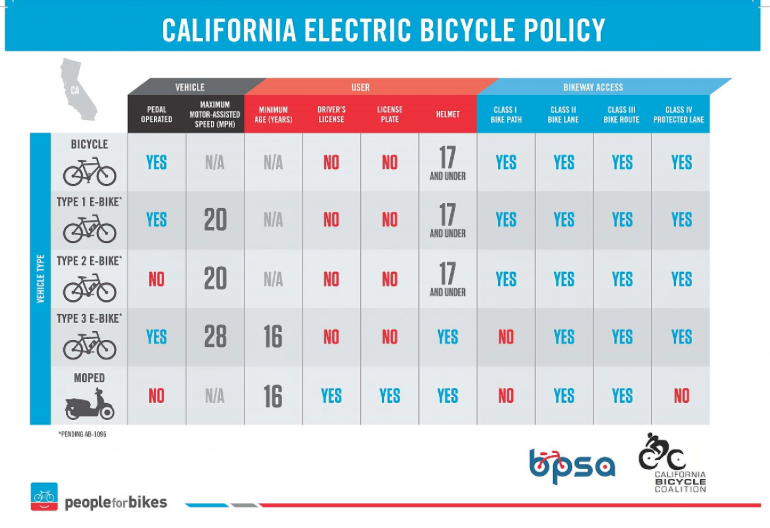 Bike Attack Electric will honor all manufacturer’s warranties, which vary from 1 to 5 years, against manufacturer’s defects. The warranty doesn’t apply if the problem is caused by normal wear and tear or abuse, if the bicycle was used for racing or other activities that it was not intended for or if it was involved in an accident. The warranty might also be voided if certain parts were installed against the advice of Bike Attack Electric or if the parts or extras were installed by other sources. All bikes sold online or over the phone ship unassembled and need to be assembled and fine tuned by a professional bike shop or the warranty is voided. Bike Attack Electric accepts online orders for certain brands. Simply go to www.electricbikeattack.com and order online. If the product is unavailable for online purchase please call us at 424-744-8148 and order over the phone. If you're ordering online or over the phone and we're shipping the product to a different address than the one on file with the bank please be prepared to be asked to submit a copy of your ID and matching credit card. This is a security measure to avoid fraudulent use of credit cards and for your own protection. To protect our customers from fraudulent transactions, the billing address is verified through your credit card company. If the billing address differs from the billing address on your bank's records, you could be declined. If your transaction was declined due to AVS Mismatch (billing address does not match billing address of cardholder), do not try to resubmit your request, since this will issue multiple authorization requests to your bank and might place holds on your funds. My order was declined. What happens next? You may see pending charges on your account even if your order was declined. When you placed an order on our website, the transaction was sent to the bank for verification and for availability of funds. The bank holds the funds for that transaction, even if the order is declined for other reasons. The hold will drop off automatically in 1 to 3 business days, since the transaction was not completed. Some banks, such as credit unions, may take longer to have the hold removed. Please note that this is a normal procedure initiated by your bank and not by Bike Attack Electric.  Bike Attack Electric accepts all major credit cards for in store purchases and for online purchases. Sometimes prices and descriptions of products might change and might not have been communicated to us by the manufacturer in a timely manner. We would like to apologize for any wrong prices and changes in descriptions that were not updated to our website. We also strive to eliminate clerical errors and typos and try hard to minimize them, but unfortunately they might occasionally happen. Please contact us if you find a price or description error on our website so we can fix it right away. We offer third party insurance for your bike from VELOSURANCE. Please call us and enquire about the program or go online. Where is Bike Attack Electric located? 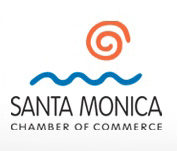 We are across the street from Coffee Bean, on Main Street and Ashland Ave. in Santa Monica. We have a big parking lot in the rear, with plenty of easy and free parking. Just pull up behind our store. Coming from the North driving on Main Street, you make a right on Ashland and pull into our parking lot on the left. You'll see the big orange building. Coming from the South driving on Main Street, you make a left on Ashland and pull into our parking lot on the left. What are Bike Attack Electric’s store hours? How can I contact Bike Attack Electric? Who is Bike Attack Electric? To learn more about the history of Bike Attack and find out who we are please read the "About us" page. How long is Bike Attack in business? Bike Attack was founded 1994 in Berlin, Germany and started doing business in the US in 1999. Does Bike Attack Electric have any business affiliations?